Contrary to what you might believe, looking stylish doesn't take that much time. Just choose a silver sequin sheath dress and you'll look wonderful. When it comes to footwear, this look is finished off nicely with beige embellished leather heeled sandals. So as you can see, looking elegant doesn't require that much effort. 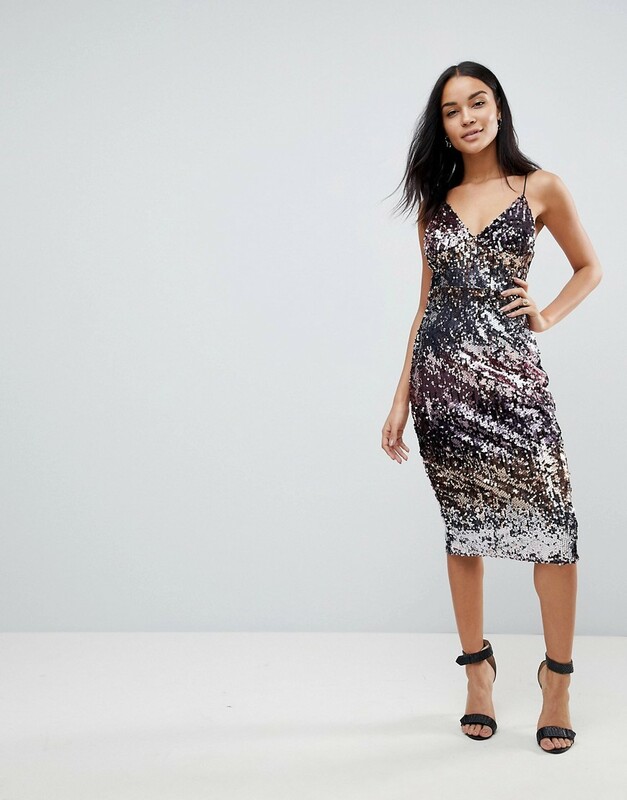 Just go for a Club L ombre sequin midi dress and you'll look wonderful. Silver leather heeled sandals look amazing here.